According to a new study, the type of saturated fats we eat can affect our risk of a heart attack and compared to dairy products, saturated fats in meat more likely to cause the heart attack. People whose diets contain relatively little longer-chain saturated fats like palmitic and stearic acid typically found in meats – and eat plant-based proteins instead have decreased chances of heart attack. Individuals who eat more saturated fats with shorter-chain saturated fats typically found in dairy products have a lower risk of myocardial infarction. The study has been published in the International Journal of Cardiology. “Our analysis of the diets of large groups of individuals in two countries over time shows that the type of saturated fats we consume could affect our cardiovascular health,” explained lead investigator Ivonne Sluijs, PhD, Julius Center for Health Sciences and Primary Care, University Medical Center Utrecht, Utrecht University, Utrecht, Netherlands. Coronary artery disease (CAD) remains the leading contributor to overall disease burden globally despite a decline in its mortality in the past decades. Adopting a healthy lifestyle and diet is one of the most cost-efficient strategies for the primary prevention of CHD. Based on the totality of evidence linking fatty acids and cardiovascular risk, the current Dietary Guidelines for Americans recommends lowering saturated fat acid (SFA) intake to <10% of total calories for maintaining optimal cardiovascular health, through substituting foods rich in polyunsaturated fatty acids (PUFA) for foods high in SFAs. The study investigated whether saturated fats with chains varying in length from 4 to 18 carbon atoms are associated with the risk of developing myocardial infarction. Data from approximately 75,000 people in the UK and Denmark were analyzed. Of these two groups, nearly 3,500 people experienced myocardial infarction in the period between the study’s initial outreach and follow-up 13 years later (in Denmark) and 18 years later (in the UK). “The study is applaudable for its large size, prospective cohort study design, and detailed assessment of diet and lifestyle factors. 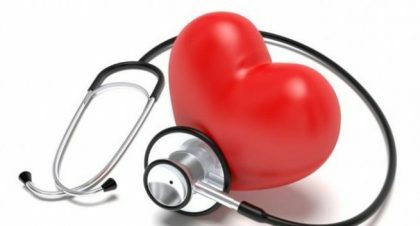 In addition, it is among the few studies that specifically examined individual saturated fatty acids in relation to coronary heart disease risk and compared with different macronutrients,” commented Jun Li, MD, PhD, and Qi Sun, MD, ScD, both at the Harvard T.H. Chan School of Public Health, Boston, MA, USA, in an accompanying editorial. They also noted a few limitations of the study and thus called for a cautious interpretation of the overall null results for the primary saturated fatty acids. Dr Li and Dr Sun advise that shifts in fat intake should align with the recommended healthy dietary patterns, which emphasize limited intakes of red and processed meat and added sugars, lower salt intake, replacement of refined grains with whole grains, and higher consumption of fruits and vegetables.